The RightsTech Project is pleased to announce the inaugural RightsTech Europe conference, which will beheld on April 9-10, 2019, in Frankfurt, Germany. The two-day conference, at the Instituto Cervantes, or “Spanish Cultural Institute,” in Frankfurt’s West End district, will be co-produced by the RightsTech Project and Frankfurter Buchmesse (Frankfurt Book Fair) organizers of the world’s largest book fair and publishing rights marketplace. With final negotiations underway among the European Parliament, Council and Commission over the European Union’s proposed Copyright Directive, and lobbying for and against it at a fevered pitch, Article 13 of the directive, which could force online service providers to actively screen content uploaded to their platforms for copyright infringing material, remains at the center of the debate. This week, however, cracks began to appear in once solid wall of support for the measure among major rights owners. In a letter to the negotiating parties, the Motion Picture Association, representing the major studios, along with the Independent Film & Television Alliance, the Association of Commercial Television in Europe, and several major European sports leagues, took issue with changes being considered in the “trilogue” to the version of Article 13 passed by the European Parliament in September, claiming they would further cement the dominance of major online players such as YouTube, and asked that their content be excluded from provision should those changes be adopted. The purported “mutations” appears to be a reference to a proposal by the Council of Europe, made up of representatives from EU member governments to adopt certain existing copyright filtering systems, such as YouTube’s Content ID, as the standard to meet for all online platforms, which would leave it to rights owners to identify their content and instances of infringing uses on the platforms, rather than shifting the burden of identifying and filtering infringing content to platform providers. 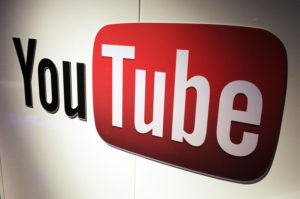 The groups’ complaints come even as YouTube has continued its ferocious lobbying against Article 13 altogether, claiming it could still compel the Google-owned platform to remove huge swathes of legal content for fear of liability. The music industry, meanwhile, largely continues to support the measure, pushing back forcefully against YouTube’s claims. In their letter, the TV and sports organizations suggest narrowing the scope of Article 13 to single out music and exclude other types of content. One more negotiating session is scheduled, currently for December 14. A final vote on the directive is tentatively slated for mid-January. The RightsTech Project will host a full, two-day track of panels, keynotes, and presentations again this year at the Digital Entertainment World expo in Los Angeles on February 4-5 at the Marina Del Rey Marriott. 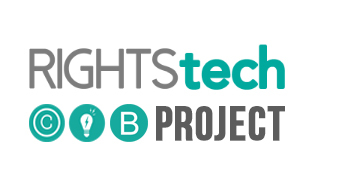 As always, RightsTech will bring together our unique mix of creators, entrepreneurs, technology developers, and rights owners from all sectors of the media world to discuss and debate technology-enabled solutions to the common challenges of managing and monetizing rights in the digital era. What’s Next for the Music Modernization Act? RightsTech@DEW kicks off an expanded slate of conferences for 2019, which will also include the first RightsTech: Europe conference in Frankfurt, Germany April 9-10, and the annual fall RightsTech Summit in New York. 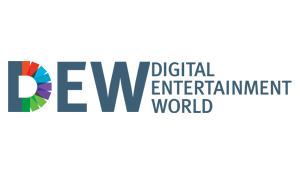 Click here for information on how to register for Digital Entertainment World. For speaking and sponsorship opportunities contact Paul Sweeting at paul@concurrentmedia.com. For general inquiries regarding DEW, or information on other conference tracks, contact Tinzar Sherman at tinzar@digitalmediawire.com. Sony Has Plans for Blockchain, But How Big? Today, advances in technologies for digital content creation allow anyone to broadcast and share content, but the rights management of that content is still carried out conventionally by industry organizations or the creators themselves, necessitating a more efficient way of managing and demonstrating ownership of copyright-related information for written works. This newly-developed system is specialized for managing rights-related information of written works, with features for demonstrating the date and time that electronic data was created, leveraging the properties of blockchains to record verifiable information in a difficult to falsify way, and identifying previously recorded works, allowing participants to share and verify when a piece of electronic data was created and by whom. In addition to the creation of electronic data, booting up this system will automatically verify the rights generation of a piece of written works, which has conventionally proven difficult. Just how big those plans might be, however, is hard to tell from the announcement. The system is still in prototype, and according to the announcement, plans to commercialize it are still under discussion. Sony wouldn’t be the first major media company to dabble in blockchain only to let it go, should nothing come of this week’s announcement. Disney developed its Dragonchain private blockchain platform back in 2015 and 2016, only to spin it off as an open-source project under the auspices of a non-profit foundation. But the Sony release contains additional hints that blockchain is a genuine priority for the Japanese conglomerate. 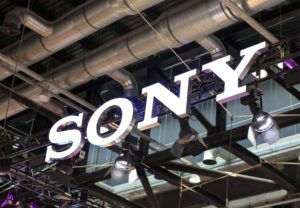 Earlier this year, Sony applied for two blockchain-related U.S. patents that may contain clues as to what sort of information management and data distribution applications it has in mind. One filing, 20180218027, describes a new type of crypto-mining hardware that includes additional circuitry to compress the data that goes into a new block before adding it to the chain, reducing the storage requirements of the chain. Further, the blockchain supported by the new hardware would incorporate the compression processing into its proof-of-work consensus mechanism. Together, the filings could point to some sort of restricted, or perhaps permissioned, blockchain-based, peer-to-peer content distribution platform that could accommodate large data payloads by compressing them before adding the data to the chain. Whether all of those threads ultimately tie together is unclear at this point. What is clear is that Sony is looking hard at potential blockchain use cases. With the 3rd annual RightsTech Summit approaching, RightsTech co-founder Paul Sweeting was interviewed by the Copyright Clearance Center‘s Christopher Kenneally for CCC’s Beyond the Book podcast. Sweeting and Kenneally discuss the growing investor appetite for rightstech companies, the emergence of securitized rights and royalties as a financial asset class, data and transparency, and plans for the RightsTech Summit. The full podcast is embedded below, but is also available on CCC’s website, and on Apple Podcasts, Google Play and Stitcher Radio. One of our goals in launching the RightsTech Project was to help draw attention to the growing amount of, as well as the growing need for, investment in the business-to-business layer of the media value chain. That’s the layer that connects the creative end of the pipeline with the consumer or market-facing end of the chain. It’s the layer where intangible rights are supposed to get translated into tangible forms of commerce so that market demand can be met and authors and rights owners can capture the monetary value of their work, or at least a portion of it. Over the past two decades, both the creative and market-facing ends of the value chain have been utterly transformed, in scale and velocity, by digital technology. But the middle layer, the B2B layer, until recently remained stubbornly analog, opaque and slow. The result was a highly and increasingly inefficient system for translating market transactions into remuneration for creators. There are many reasons for that inertia. Unlike the creative and market-facing ends of the pipeline, the B2B layers is not governed by ordinary supply and demand but by a complex web of contracts, business arrangements, statute, legal precedence, treaty, and tradition, all of which are difficult and resistant to change. Even where there has been a will to change, however, the means were often not available, due to a significant under-investment in B2B systems, from both a technological and financial perspective. You can’t simply make old systems run faster; you need new systems, which takes both money and imagination. More recently, though, that investment has started to come, particularly on the technological side. 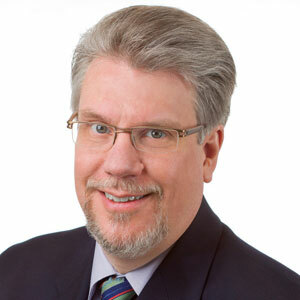 The gradual construction of a large-scale, cloud-based computing and storage infrastructure has made it economically feasible to develop and deploy the sort of secure, enterprise-scale rights management and payment systems media companies need to cope with the scale and velocity of transactions generated by new modes of content creation and consumption. The emergence of new technologies such as blockchain and artificial intelligence has also attracted entrepreneurs and developers bent on disrupting — or at least improving upon — legacy systems. Now, the financial side is starting to catch up. In June, the Hipgnosis Songs Fund successfully raised $260 million through an initial public offering to invest in acquiring song catalogs. The capital raise represents a clear bet not just on the future growth of the subscription streaming business and other new revenue sources for music, but on the capability and capacity to translate those revenue streams into value for rights owners and investors. This fall is expected to bring an announcement regarding what may be the first rightstech-focused VC fund, led by long-time music industry executive and consultant Göran Andersson and former Armonia Online CEO Virginie Berger. 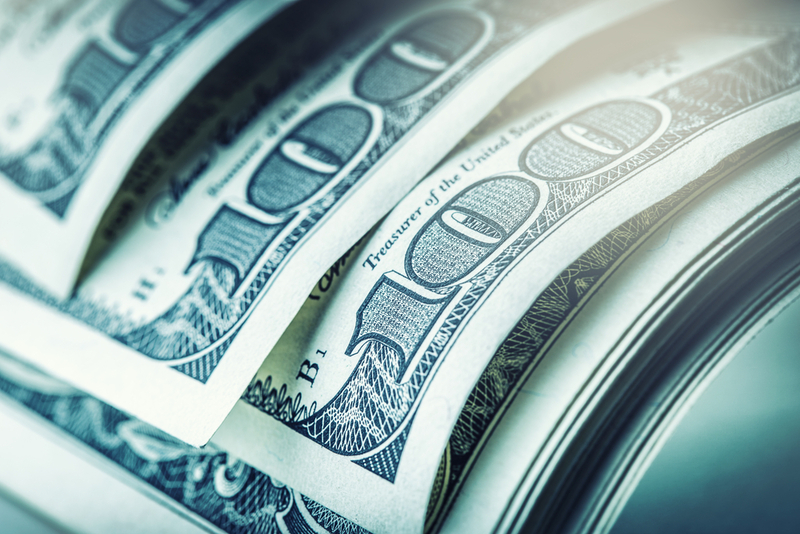 The pair are looking to raise a $50 million war chest, with half to be earmarked for musictech startups and half for non-music focused rightstech ventures. This week brought the announcement of a deal by City National Bank to acquire artist payment platform Exactuals, which recently expanded from its base in managing film and television residuals payments into managing music rights and payments. Exactuals has plans to target additional media businesses with its payments platform in the future as well, according to CEO Mike Hurst, who also foresees increased financial investment in the rights and rights-management space. A second factor, Hurst said, has been the emergence of rights as an asset class in themselves. Hurst also sees several factors likely to attract financial investors to the sector as well. That’s certainly the view of the founders of the Hipgnosis Songs Fund, which last month paid $23 million for a 75 percent stake in the 302-song catalog previously owned by composer Terius Nash. That growing investor interest in rights-based assets can also translate into demand for rightstech investments as well, according to Hurst. Mercuriadis will be featured in a special fireside chat at the RightsTech Summit on Oct. 5, along with Hipgnosis advisory board member and Grammy-winning artist and producer Nile Rodgers. Click here for information on how to register for the summit. In the calendar year of 2016, the latest year we can capture across all income sources, the global value of music copyright in worldwide revenue terms was nearly $26bn – representing growth of $1.5bn (+6.1%) on 2015. That’s a much bigger figure than IFPI’s value of recorded-music-only in the same year, at $16bn. The $1.5bn annual growth is exciting when you consider that, in the prior year, the total annual global copyright revenue figure grew by a significantly smaller amount – $941m. 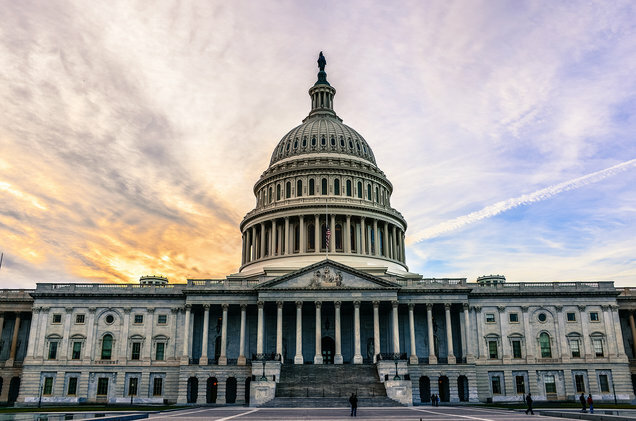 The revised and amended Music Modernization Act that got the okay from the Senate Judiciary Committee June 28 was still garnering accolades from all sides of the music business days after its passing. Yet, the proposed amendments to the bill — some that were added in the Senate and some that are still under consideration by lawmakers — are also raising new questions and concerns, including how to pay for the proposals. Meanwhile, the clock is ticking: the Senate needs to act on the bill before this Congressional term ends; otherwise lawmakers and music industry lobbyists must start the legislative process again next year after the fall midterm elections bring new officials into Congress. YouTube could be about to make a big step toward solving a longtime irritation for creators: It’s about to roll out a tool that will identify videos that are stolen and reposted by someone else — and let the original creator pull the ripoffs down. After almost a year in beta-testing, YouTube’s new Copyright Match tool is scheduled to launch next week for creators with more than 100,000 subscribers. With the new system, after a user uploads a video — and YouTube verifies it as the first iteration of the video — YouTube will scan other videos uploaded to the service to see if any of them are the same (or very similar). Will Supreme Court Nominee Brett Kavanaugh Gut TV Broadcasting As We Know It? What Trump’s nominee said last year during a hearing could send shivers down the spines of broadcasters and other copyright holders. One of the best examples of how Kavanaugh might act on the Supreme Court is a case that never actually resulted in an opinion. It was also a case that held enormous significance to the television industry. That’s Fox Television Stations v. FilmOn.TV Networks, which was heard at the D.C. Circuit Court of Appeals in March 2017. After the hearing, Neal Katyal, the attorney for the broadcasters not to mention the former Acting Solicitor General, called the two-hour event the “longest oral argument of my life.” This might explain why the broadcasters then chose to settle the case rather than risk a disastrous ruling. 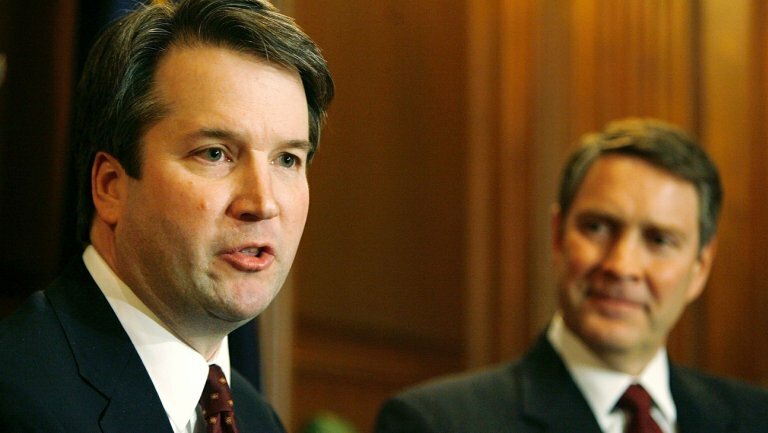 Source: Will Supreme Court Nominee Brett Kavanaugh Gut Television Broadcasting As We Know It?